Many people mistakenly believe that alcohol is not a drug because it’s legal. Yet it is a substance that affects the central nervous system, psyche and mental faculties. It also influences how the person thinks, feels or acts, similar to other legal drugs such as coffee, tobacco, medication, and/or illegal drugs. Alcohol leads to disturbances of perception and sensation. Alcohol sometimes causes physical and psychological dependencies. This is one of the most widely consumed drugs worldwide. 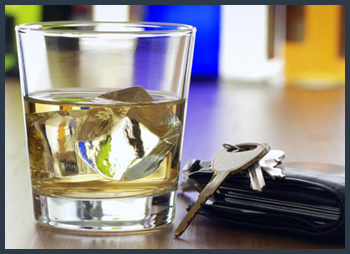 Alcohol abuse can lead to a long term addiction and a good alcohol rehab center is the key to recovery. While going for an alcohol rehab center, there are some factors for you to consider. It has to be assured that the program provide by the alcohol rehab center suits the specific needs of the alcoholic as any wrong move can increase the chance of failing to help the person involved. Also, an addict shall be monitored closely especially during the withdrawal period. Some alcoholics with a brief history with alcohol would prefer an outpatient alcohol rehab center. However, it is best to go to an inpatient alcohol rehabilitation centre for treatment, especially for those with a long history of excessive drinking. A long term alcohol rehab program spans from three to six months depending on the severity of the case. At the alcohol rehab center, they will be given proper care and love. Excessive alcohol drinking and alcohol abuse brings such bad effects to one’s health. Health problems such as liver disease, gastritis, neurological, and cardiovascular problems are the diseases that come along to an alcoholic. What alcoholics don’t know is that alcohol abuse can lead them to cancer and even worse, death. If you are one of those who sweat for moderation of drinking, giving up normal activities and is seen with physical symptoms to free yourself from alcohol dependence, you must go to alcohol rehabilitation to become the old you – with no influence of alcohol. To cleanse someone from alcohol, the first step is to confront the alcoholic in a non-critical and accepting means. This will inspire the person involved to find help, which will then lead to alcohol detox. Alcohol detoxification is a process to cleanse addictive substances from someone’s body. This entails mental and physical nature re-adjustments for the addict that can be done through yoga and meditation, or other methods alike. For heavy alcoholics a medical detox might be required. The next step is enrollment in an alcohol rehab center program that includes treatment for improving self-esteem and improving the health of the body to be able to recover from alcohol. Group meetings and sessions are also held in this part, which emphasizes on sharing of recovery experiences and motivate members of the rehabilitation centers that they can pass through this problem. Whatever method is used, it has to be instilled to the person who wants to recover – that their life can still change, and they can be a better person by becoming the old person – the one that is sober, the one who is free from alcohol.